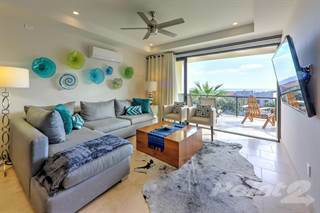 Searching homes for sale in Cabo San Lucas, Baja California Sur, Mexico has never been more convenient. With Point2 Homes, you can easily browse through Cabo San Lucas, Baja California Sur, Mexico single family homes for sale, townhomes, condos and commercial properties, and quickly get a general perspective on the real estate market. Point2 Homes gives you far more than a simple list of houses for sale. Get instant access to loads of relevant information about Cabo San Lucas, Baja California Sur, Mexico real estate, including property descriptions, virtual tours, maps and photos. If you like a house for sale and you want to speak with a professional, simply contact the listing agent right from page of listing details. Or if you want to talk to an agent before anything else gets done, you can click the Tools tab and Find an Agent – you get a list of real estate agents in Cabo San Lucas, Baja California Sur, Mexico, all ready to give you top-notch professional advice on house prices and more detailed information about your target area. Use the map view to find homes and apartments for sale based on amenities and features in Cabo San Lucas, Baja California Sur, Mexico that you may want close by. You can select your preferred area or neighbourhood by using the radius or polygon tools in the map menu. 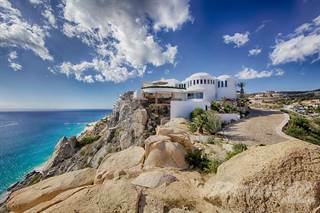 Filter among the 236 listings in Cabo San Lucas, Baja California Sur, Mexico, based on real estate price drops in the past six months, so you’ll never miss a bargain. Get new listings in your inbox, daily or every week, based on your preferences, by simply saving your searches. All it takes is two clicks. Located atthe southern end of Baja Californiain Mexico, Cabo San Lucas is considered one of the top five tourist destinations in Mexico. There are approximately 68,230 people living in Cabo San Lucas and over 287,000 in the Los Cabos Municipality. The municipality encompasses 1,448 square miles. Cabo San Lucas is a bustling city in Mexico with tourism being its main industry. Other industries include fishing and fish farming, agriculture and livestock. Cabo San Lucas’s roots revolve around the fishing industry which started in the early 20th century with the influence of the Huichol Native Americans. There is proof that humans were in this area over 10,000 years ago. The city has a few religious institutions including the Iglesia Católica de San Lucas which was constructed in 1730. You’ll find the Land’s End – an incredible, natural feature within the water, Mercado Mexicano, and Medano Beach – one of the most popular beaches in Cabo San Lucas. Cabo San Lucas is located on the south end of the Baja Peninsula and is considered a desert climate. Cabo San Lucas can get quite hot in the later part of the summer. The hottest months are July, August and September when average temperatures reach into the 90s. January, February and March have the coolest temperatures with lows in the mid-50s. Rain is scarce with the total rainfall averaging less than 9 inches per year; a third of which falls in September. As a beautiful beachfront community, homeowners who want to live near the water without the major expenses in areas such as San Diego are eager to take advantage of the very affordable real estate market in Cabo San Lucas. Major hotels and resorts are helping to bring in tourists which, in turn, are bringing lots of investment. With cafes, restaurants and boutique stores as well as a major tourist boom, Cabo San Lucas is poised to grow its population and economy like many other resort towns. Mexican citizens and foreigners are finding Cabo to be an affordable and beautiful place to call home. There are three museums in Cabo San Lucas all highlighting different aspects of the city and the surrounding areas. The Pasado Marina de Museo celebrates the fishing industry which was the main economic force until the tourism industry took off. Museo de las Californias showcases artifacts, photos and other historical items relating to Baja California. The Huichol Museum displays items relating to the Mexican lifestyle and culture as well as Huichol Indians. Downtown Cabo San Lucas hosts some amazing annual festivals and events including the Festival of San Jose, the Easter Festival, Los Cabos Summer Dive Fiesta, and the Day of the Dead, or Dia de losMuertos. Los Cabos Technological Institute of Higher Education is located in Cabo San Lucas. This school has a student population of around 1,500 and offers 9 academic programs. Cabo San Lucas features major fishing tournaments. The Bisbee’s Black & Blue Tournaments has been going on for over 30 years and has a series of competitions which brings in tourists and anglers from all over. The prize money is a big draw, stretching to nearly $4 million. Cabo San Lucas has an incredible nightlife. One of the most popular destinations is Cabo Wabo which is Sammy Hagar’s legendary club. Other hot spots are Baja Cantina, Nowhere Bar and the Jungle Bar. The Downtown District is a major tourist destination complete with shops and tourists attractions as well as hotels. Many shops cater to tourists and many of the annual festivals take place downtown. The Downtown District is also home to the Pasado Marina de Museo and the Museo de las Californias. The Medano Beach District has two different personalities. During the daytime, families play on the beach and enjoy fun attractions like embarking on glass-bottomed boat tours. At night, it is known as the leading party district with restaurants, bars and nightclubs filling up after the sun goes down. The Golden Corridor District has a more luxurious feel than other parts of Cabo with exclusive hotels, golf courses and upscale shopping and dining. Celebrities and other wealthy people have vacation homes in the Golden Corridor District. The Marina District, also known as Boulevard Marina, is often crowded. One of its main attractions is the impressive array of seafood restaurants with delicious seafood options that are freshly caught in the nearby waters. There are also many boutique shops and stores situated in this district. Resort and hotel construction continues to be strong and beachfront homes, lots and condos are starting to pick up steam. 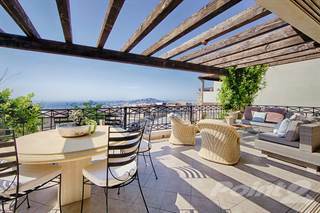 While still very affordable, many of those interested in Mexican real estate are discovering more than just great prices in Cabo San Lucas. Housing options are very affordable compared to other major cities and resort towns in Mexico. Tijuana and Puerto Vallarta are more expensive than Cabo San Lucas. The old parts of Cabo are being developed and provide historic and affordable housing options. The housing market is tied directly to the tourist industry in Cabo San Lucas. As more resorts and hotels are being built up, the economy strengthens and the interest in calling this city home increases. As baby boomers retire and are looking for a more laid back life or are interested in vacation homes, developers are marketing realty projects to those looking to move to the beautiful scenery of Cabo San Lucas. The major types of development include those situated on beachfronts or beautiful golf courses. For those seeking rentals, many are made through homes or developers. For snowbirds or those looking to experience a longer vacation, ocean facing properties are rented out fairly regularly. Cabo San Lucas is not for everybody. For those deciding to move to Cabo it is suggested that you explore the various neighborhoods during different times of the year to make sure it is a place you’d want to live in fulltime. While the sunshine and blue waters are great for vacations, Cabo San Lucas still has some infrastructure issues that foreigners may find hard to deal with. The main college located in Cabo San Lucas is Los Cabos Technological Institute of Higher Education. Other colleges include UABCS Los Cabos, Universidad del Golfo de California, Universidad del Desarrollo Profesional S.C. The city’s public schools vary in quality. Both public and private schools, even the expensive private schools, may not be of the quality one expects in public schools in other major cities in Mexico as well as the U.S. and Europe. The schools are managed by Mexico’s Secretary of Public Education. Public schools are free and funded by the government for Mexican citizens. Foreigner students are accepted but there is a nominal cost.